A Heart Attack takes place when there is a complete blockage in the artery which leads to its blockage of the supply of the oxygen-rich blood to a section of the heart. The heart is an important muscle in the body and it needs a good supply of oxygen-rich blood for it to stay healthy and in a good state. If there is a blockage in the artery it may have a high chance that the blood flow to that area may be blocked. If the blood flow isn’t restored quickly, that particular section of the heart muscle begins to die. 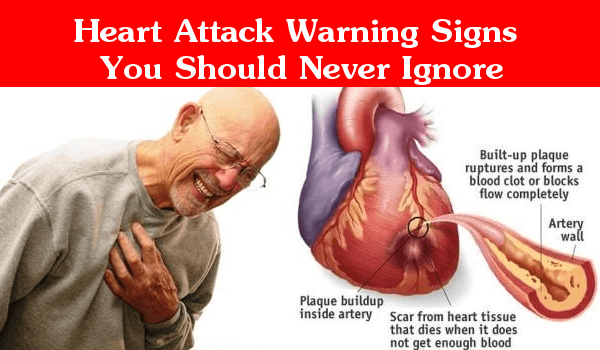 Heart Attack is mostly a result of coronary artery disease, a condition in which a plaque ( Waxy Substance) builds up in the artery which supplies. 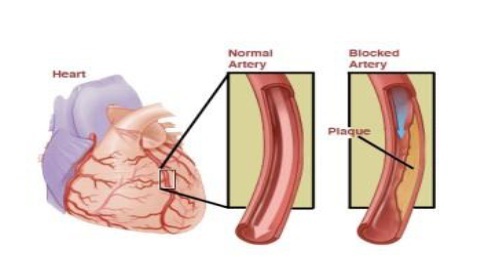 When the plaque-filled area breaks, blood clots may form as blood cells and some other parts of the blood sticks in the damaged area which may further cause Heart Attack when the blood clots grow and block the flow of the blood which reduces the blood flow to the heart muscles. Usually, this process leads to the death of the heart muscle where the blood flow has been blocked thus it is very important to treat Heart attack at the earliest as if left untreated it may lead to the death of the heart muscle. The flow of blood needs to be restored at earliest to avoid any further permanent damage. Agina Petoris : It is also referred as Agina which is a chest pain/pressure which is a outcome of a lack of blood and oxygen as required by the hearts muscle to function. 1. Discomfort in the chest : This is one of the most common symptoms of a heart attack but not forgetting that the discomfort may or may not occur depending on the case. One can term it as chest pain, fullness in the chest and squeeze at the chest. 2. Jaw Pain, Toothache, and Headache : Multiple cases have been seen these three conditions as a symptom of heart attack. The arms, jaws, head and back can be affected due to the pain at the heart and most commonly affects the jaw, tooth and the head. It is also possible to have the pain in these areas without feeling the pain in the chest. 4. Nausea : It is not a common symptom but can indicate possibilities of a heart attack. Patients usually term it as indigestion and ignore it but it can be one of the less common indications towards a heart attack. 5. Sweating : Sweating accompanies a heart attack. It is a cold sweat which one faces during a heart attack. 1. Electrocardiogram (ECG) : This is one the very initial test that will be carried out to see the electrical activity of the heart with the help of the electrodes attached to the skin. Impulses are recorded as waves on a monitor or a paper. This can help in diagnosing the heart attack and the areas damaged as the areas which do not function properly may not send any electric signals to record. 2. Blood Test : Certain enzymes of the heart leaks out into the blood if the heart is damaged due to a heart attack. The doctors may also take a blood test to determine the occurrence of a heart attack. 3. Cardiac computerized tomography (CT) : The doctor may ask the patient to lie down in a donought shaped machine in which an X-Ray tube rotates around your body and collects images of the heart to determine the damage caused to the heart. 5. Magnetic Resonance Imaging (MRI): A doctor may ask you to lie in a tube-like machine which releases a magnetic field which then aligns atomic particles in some of the cells. When the radio cells are broadcasted they send information according to the type of tissues. These signals create the image of the heart thus determining the condition and the state of the heart. 6. Chest X-ray : A X-ray of the heart will allow the doctor to diagnose the problem. The doctors may also prescribe painkillers/Pain relievers, Beta Blockers, ACE inhibitors to further reduce the risk. 1. Coronary angioplasty and stenting : A thin tube is put in through an artery, usually in the leg or groin towards the blocked artery in the heart. This procedure is done immediately after a cardiac catheterization which is a procedure used to locate the blockages in the heart. The catheter is well equipped with a balloon. Once it is set at the position it is briefly inflated to open the blocked artery in the heart. For a long run, a metal stent which may slowly release medication is fixed at that area to keep the artery open in a longer run. 2. Coronary artery bypass surgery : In a case of emergency ( depending upon the situation ) a doctor may perform a bypass surgery Once the surgery or procedures are done the patient may have to stay at the hospital for sometime to be observed for safety.